﻿ Jujubee S.A. - Games Developer and Publisher. iOS | Android | WP | PC | Mac | Linux | PS4 | Xbox One - FLASHOUT 2 vs. FLASHOUT 3D – improvements to Career Mode! Who wants to be the best racer in the world of futuristic hovercarfts? I hope you all do! But as we live in 2013, not 2392, our only chance to become a superhero in this field is to play a videogame. Namely, FLASHOUT 2;). As you are well aware, the sequel to our fast and furious title is still in development and we wanted to improve every little aspect of the overall experience. The physics are more advanced, the flight model got rewritten from scratch, graphics are far superior, music is probably more catchy, but the immersion is also (at least we hope so) far better. And, last but not least, the Multiplayer Mode is finally there. Even though FLASHOUT 2 is an arcade racing game, we wanted to dig a little deeper and we feel that it is always nicer and more fun to play a game, when there’s a story behind it. 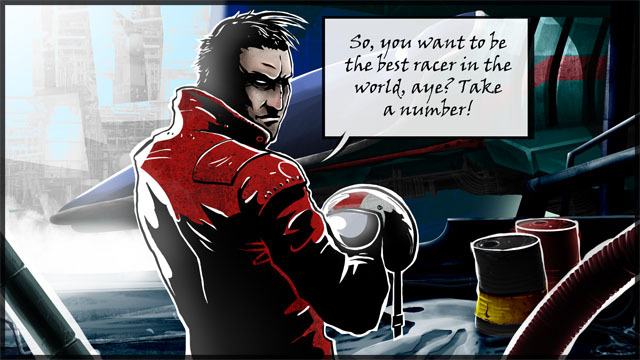 In FLASHOUT 2 the story is quite simple – you are one of these wannabe racers, who want to fulfill their biggest dream – become the best racer in the whole world. In the case of the Career Mode in the first installment of FLASHOUT, you had a Global Ranking and one of the goals was to become the number one driver (or aviator maybe?) on the planet. But the game didn’t feature a story – it was all about racing and that’s it (even though it is not necessarily a bad thing). Nevertheless we wanted to make a step forward and this is why in FLASHOUT 2 you will unveil a story and compete against 10 other racers. As result we made the decision to feature 10 leagues and more circuits, but more importantly in each league you will now find much different races – that is races that will vary in terms of rules and strategy that you need to adopt in order to win. You will find regular races, elimination races, destruction races, time trials and versus races. 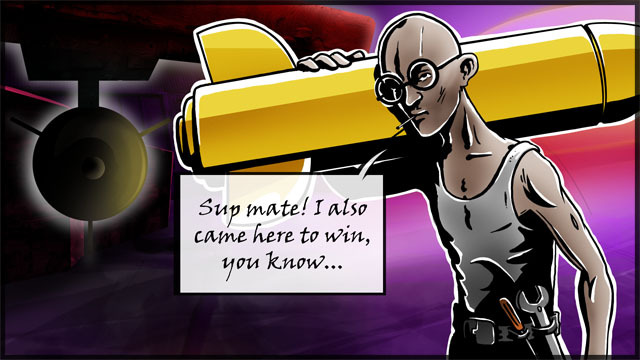 Versus races will be the biggest challenge because you will need to beat one single, but very tough opponent. However if you win, you advance in the Global Ranking and unlock the next league. We are confident that the changes we have made in the Career Mode will allow you to enjoy the game even more. 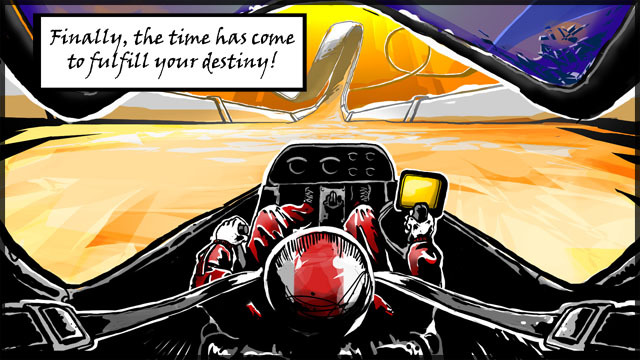 Our goal is to complete the development of FLASHOUT 2 in December, 2013, so hopefully you will be able to give the game a run (and become the number one racer in the world;)) very soon!